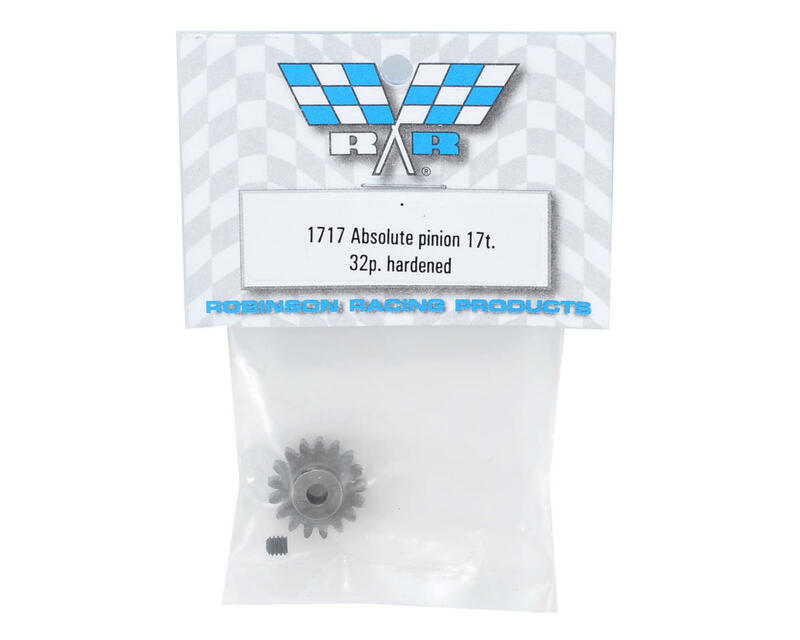 Robinson Racing Absolute 32 Pitch Hardened Pinion Gears are built to last, and are best suited for use with Robinson steel spur gears. They feature an 1/8 inch bore, a 32 pitch tooth profile, with the tooth number stamped on the side for easy identification. Choose from multiple options to fine tune the gear ratio of your vehicle. 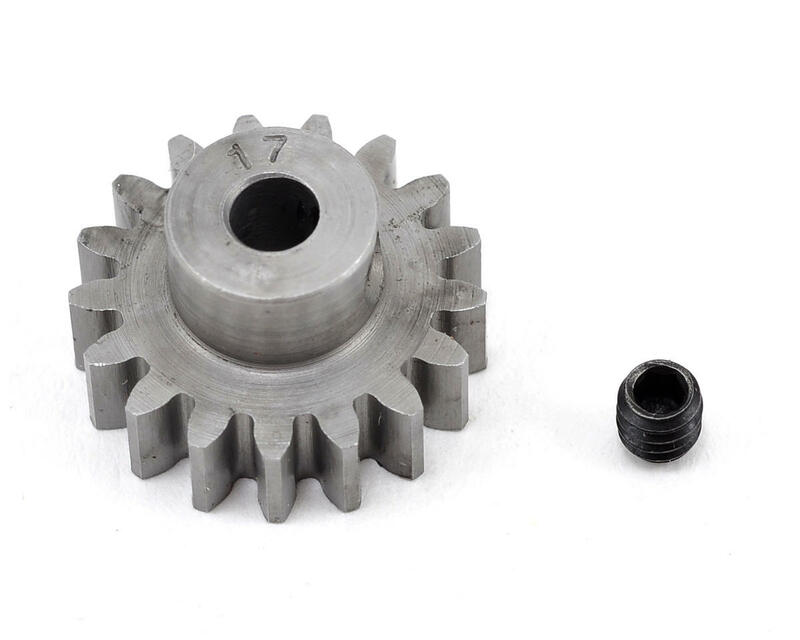 Package includes one gear and one 5-40 set screw. Great gears. Running these on my Tekno EB410 and ET410. These are one of the few 32P gears that are actually hard and last. I've been running these for about 4 months racing multiple times per week and have virtually no wear. They are a bit heavy due to being solid steel, but that's the tradeoff for the durability. **I'm running the 32P spur gear on my EB410 from the ET410. You cannot use these with the stock EB410 spur gear. Great series of pinions, extremely durable and hasn't shown any signs of wear. 0 of 1 customers found this review helpful.